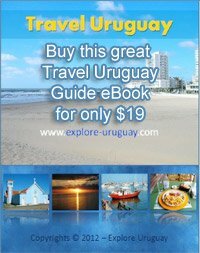 Uruguay Facts includes history, government, culture, flag and much more. Uruguay known as "Oriental Republic of Uruguay" or in Spanish "República Oriental del Uruguay"
Uruguay has only one land border which is to the North connecting to Rio Grande do Sul, Brazil. To the west lies the Uruguay River, to the southwest Uruguay borders the estuary of Río de la Plata. Finally, to the southeast this beautiful country touches the South Atlantic Ocean. Uruguay is the second smallest country in South America. The only country smaller is Suriname. Montevideo, the capital of Uruguay, is home to 1.1 million of the Countries 3.3 million people. Still looking for more Uruguay facts?